The APSC hosts its main Congress every year. 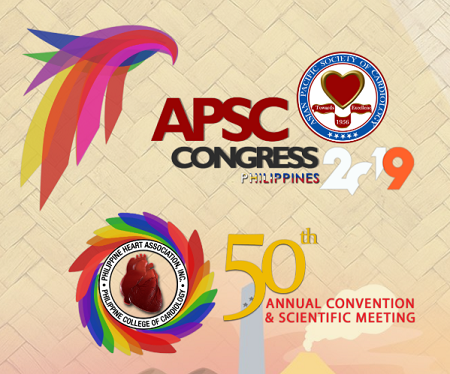 APSC 2019, the next main Congress of APSC, will be held in Manila, Philippines from May 22-26, 2019 with the theme "Unity in Diversity: Setting Global Standards in Cardiovascular Disease Prevention and Management." The Organizing Team is spearheaded the President of the Philippine Heart Association, Dr. Nannette Rey. The regional meeting will coincide with the PHA 50th Annual Convention & Scientific Meeting.